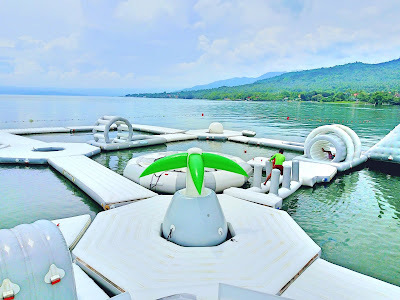 These park are specially built water proof obstacle pieces that can all be connected and rearrange to form a race track or running track while floating on the water surface. A good example is an open water like a beach. 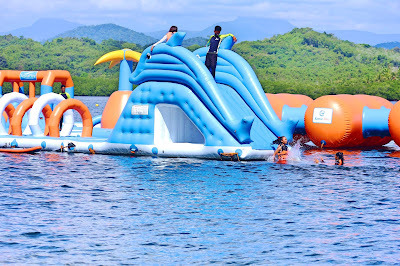 Aqua play parks creates a one of a kind park that will surely captivates every Filipino's heart thru fun and excitement. Trivia: Aqua Play Parks has been running for 29 years of "Play design experience" for inflatables. After almost 3 decades of supplying inflatables of all types in Canada and other points in west. Finally, made its way in the Asian market in 2010. And now, They are in the Philippines to level up the experience of play and fun on Aqua Parks. Double Monster Slides, Human Launcher, Inflatable Water Trampoline, Huge Icebergs, Monkey bars, Jungle Joe, Saturn Racker, Puddle boards and many more. The Giant floating slides are the product of imagination, creativity and architectural expertise of the company's very own CEO, Mr. Peter Appleton. Made from carefully-selected materials and crafted in his own company in China, Mr. Appleton has always done hands-on production and Inspection to ensure quality. Having the 30 years of experience, Mr. Appleton has taken every step to build a structure that balances well in strong winds and yet provides the height and slopes for the special "jet" feel. Its a combination of safety, fun and excitement while enjoying the rides! You will surely have the feeling of "Wow factor" in every ride. Did you know that they already have 3 existing projects serving tourist from all parts of our country? Yes, It started way back 2017 in the Philippines to introduce better-quality floating parks. 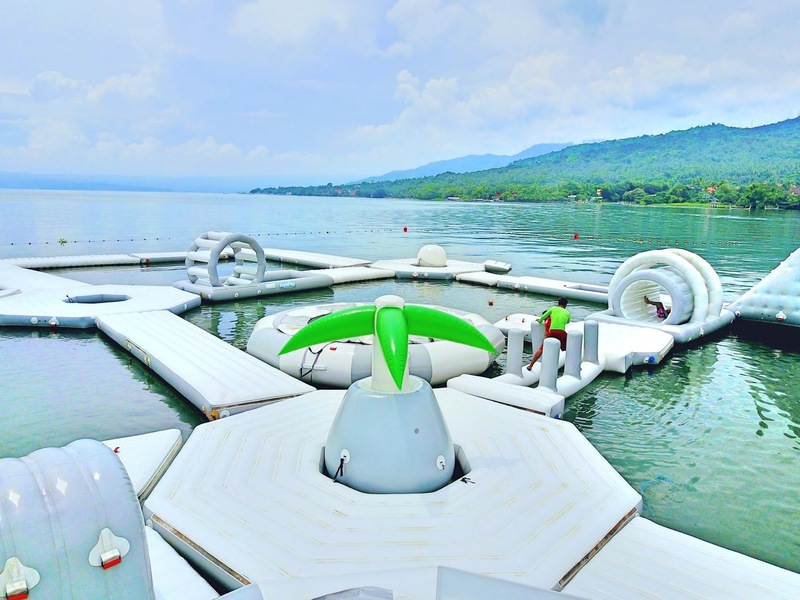 A striking white and grey themed floating park, 2 to 3 hours from Manila. This park used the very first 3 in 1 monster slide which is over 30 feet high. 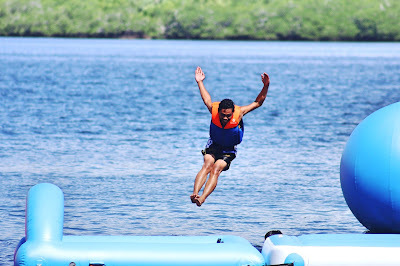 The "Jet" feel is here, such a high altitude but definitely safe to try. 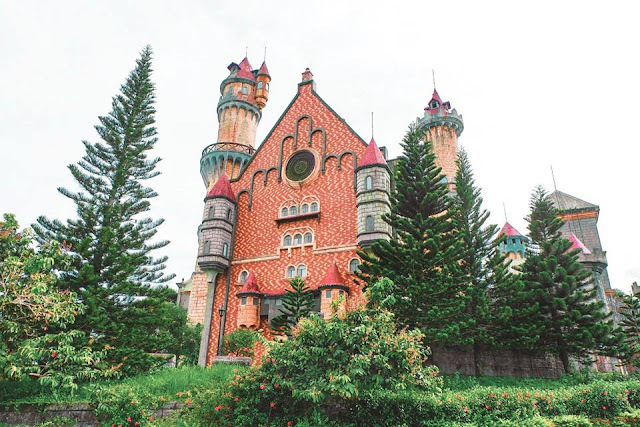 The park is located in Talisay, Batangas with a such stunning and majestic view of taal lake. Aside from stunning beaches, crystal clear water and the famous underground river. Here's a new reason for you to visit, Puerto Princesa Palawan. It is the second installation of aqua play parks but currently the biggest in our country. 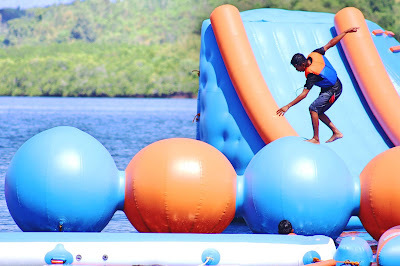 The area covers 3,800 square meters of play area near the waterfront with a 40 feet high inflatable slide. South peeps will surely enjoy this. Strategically located in a secluded beach in Oas, Albay to make it more alive and inviting. The park is a good example of a quality and safe inflatable water park since it was hit by a typhoon right after its installation. Stood still and tall serving hundreds of tourists, from regular customer to corporate guests. 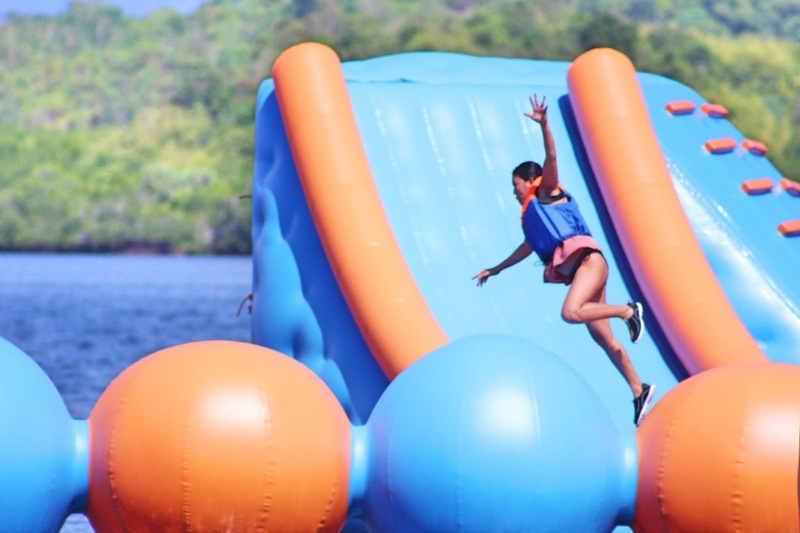 What Makes Aqua Play Parks standout with other floating parks? They are better in design and innovation. For 29 years in this business, You can call them the mother of all floating parks in the world. They are very well-known for creating a unique sliders and trampoline. 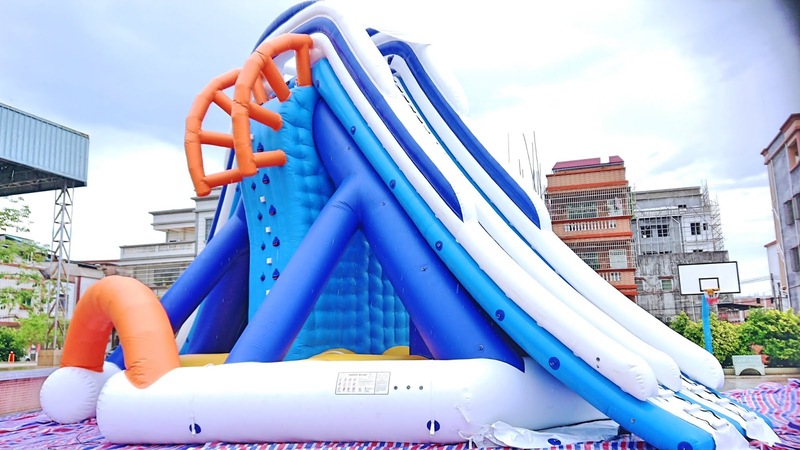 A good example from Aqua Play Parks is their 3-in-1 slide, called as the "Monster slide" for its towering height. It was also featured in multiple television because of its uniqueness on the design. 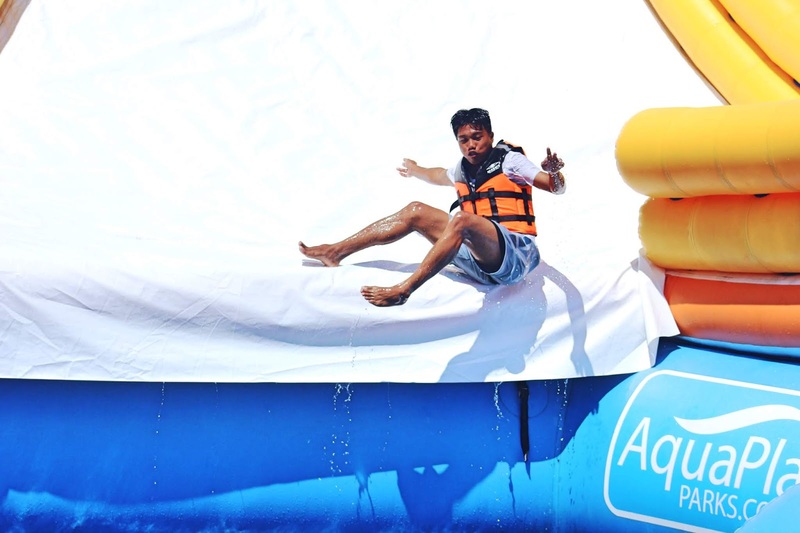 None in the Philippines has the same 3 in 1 slide that Aqua Play Parks can offer. Its all about creating one of a kind parks that will surely hook hundreds of people per day in a single resort. 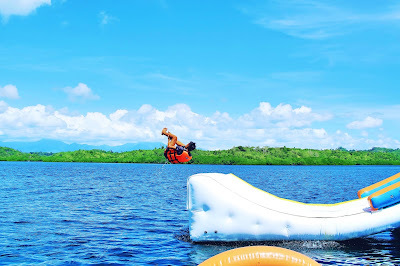 As I mention earlier, This summer, Aqua Play Parks has expanded further, into places accross the Philippines where every family, friends, and peers could enjoy without having to travel too far from the Metro. One of my dream destination in our country is Siargao. Now, Here comes the Aqua play parks, Adding more reason to visit my dream place. Gosh, I really cant wait to try the new designs of Inflatables that will surely test my ninja skills in their large ninja warrior tracks or field. They said that this new tourist attraction will feature a lavish glamorous camping along the world famous coastline in Siargao Province. Hello, Who cant say "No" on a glamping date? Its really a big yes for us traveler. "The biggest inflatable water park in the whole world" Can you beat that? Another Guinness world record is waiting for aqua play parks. Featuring a twin and the tallest of all slides, Floating trampoline, Floating ninja warrior course etc. Aqua Play Parks is set to make another record that will be recognized globally! The San Juan, Batangas project will boast another 2 giant slides and trampoline in the elegant facility of the seashore beach club. A great combination of elegance and fun, right? I'm really looking forward to visit this because of its proximity in my place, just 2-3hrs from Manila. 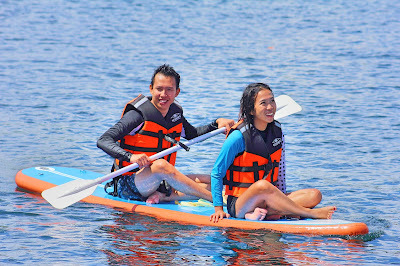 We also known for a fact that San Juan, Batangas has a whitesand beach and a crystal clear water. Several other installations are waiting to happen this year! Are you ready? A grand beach party and social media event will also happen during the openings as they go live and wild in celebrating the new tourist attractions provided by Aqua Play Parks. Would like to know more about Aqua Play Parks? Visit their sites and be the first to be updated with their latest news thru their social media channel posted below.